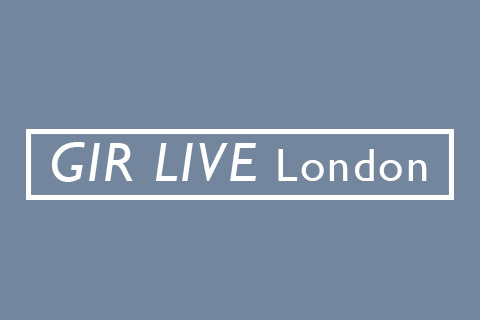 Last week, FRA Directors Edward Nkune and Viktor Josefsson attended GIR Live London to hear the discussion around the conundrums thrown up by the growing and overlapping efforts to crack down on money laundering in the City of London. The discussion was led by Ali Sallaway, Freshfields Bruckhaus Deringer, Richard Sallybanks, BCL Solicitors and Mark Steward, Financial Conduct Authority. Below are some of their key insights from the event. Mark Steward, Director of Enforcement and Market Oversight at the Financial Conduct Authority, began by providing the keynote and spoke about partly contested cases, AML investigations and some recent decisions. A key point that he made was that the FCA is now conducting ‘dual track’ AML investigations, i.e. investigations into suspected breaches of the Money-Laundering Regulations that might give rise to either criminal or civil proceedings. An initial investigation may lead to civil or criminal remedies or result in no further action being taken. A contrary view from the audience suggested that it would, however, be difficult to provide a defendant with the protection they deserve without knowing which of these paths was being taken. Mr. Steward noted that law enforcement and regulators have been working closely together for a number of years and strive to further improve this relationship. In addition to the recent launch of the National Economic Crime Command (NECC) he feels that something else has been positively added to the relationship with the Serious Fraud Office as a result of the arrival of Lisa Osofsky as the new SFO Director. The FCA is currently twice as efficient as compared to 2-3 years ago and is completing investigations in 7-9 months on average; that said, speed is not the only measure of success – fairness, thoroughness and other factors are critical components of any investigation. The availability and access to both information and data affects the speed of an investigation, as does the time-period in scope (e.g., whether investigating recent events vs. events that transpired years ago). Current, “eye-watering”, estimates put global annual money laundering figures around £1.5 trillion.  – Lack of supervisory controls. There is a return towards using physical assets such as art and diamonds to facilitate money laundering following improvements in AML controls for electronic funds transfer and the fact that physical assets are easier to hide. Reform to the UK Suspicious Activity Report (“SAR”) regime is happening, imminently. International law enforcement are becoming more interested in rooting out criminality involving virtual assets (“crypto-currencies”) as these are the main enabler of child exploitation, to which governments cannot turn a blind eye. The Senior Managers & Certification Regime (SMCR) was developed with the aim of increasing the accountability of senior managers and thus greater deter misconduct. Whilst personal liability does help focus the mind, there is unlikely to be a crime of failing to prevent money laundering. Ultimately, General Counsel and compliance officers are often at the front line with regard to commercial decisions. In many cases vulnerable people are held hostage to institutional culture. The answer to this is to say “no” to non-compliance, examine the required outcome and find a way to achieve the actual solution in a compliant way. Conducting a witch-hunt and apportioning blame is unhelpful and will be counter-productive in the long run as it will keep people from coming forward. It is much better to actively learn from mistakes and improve resilience. Clients who have more flexibility and who could absorb the risk of a DPA should not hurry to self-report (e.g. GSK). Those who could face a company killing outcome from disbarment following a negative court outcome may wish to get rid of that risk as soon as possible (Rolls Royce). It was suggested by the panel that frauds follow the economy in cycles with a delay of a few years. Looking slightly forward, the current thing on the horizon is likely to be issues surrounding PFI deals which were prevalent a few years ago. The next big thing could possibly involve pension release which was provided for under more recent legislation. It is likely that the SFO will focus on those crimes which directly affect consumers.